Perfect for birthday parties or any child-oriented event, our packages consist of fun activities to keep children engaged and happily entertained. With high-end DJ entertainment custom tailored to fit the needs of our clients, our packages are suitable for any budget and type of event. 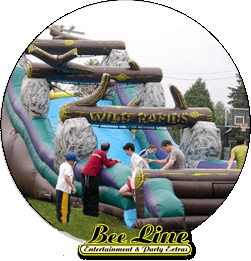 Moonwalks, giant slides, sport events, obstacle courses and dunk tanks will make for an incredibly fun and enjoyable party for your guests. Our magicians, clowns, exotic animal shows and circus performers will ensure that your guests will be amazed and have the time of their lives. 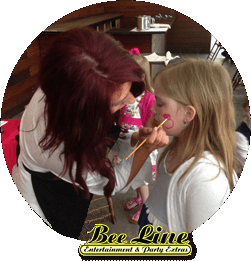 Bee-Line Entertainment is a total entertainment company with packages suitable for any occasion. Our entertainers are second to none and strive to make every event we do a success. 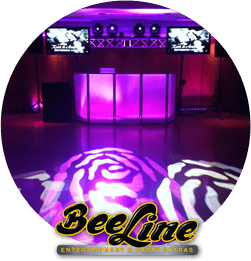 Bee-Line Entertainment can be your one stop shop for all your party needs in Staten Island and NYC. We offer, Dj Entertainment, Inflatable Rides, Party Entertainment Packages, Photo Favors & Photo Booths, Magicians, Clowns, Circus Performers, Carnival Games & Tents, Exotic Animal Shows and much more. 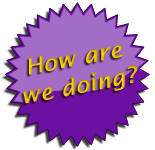 All of our performers are enthusiastic and ready to insure you and all your guests have a wonderful time. 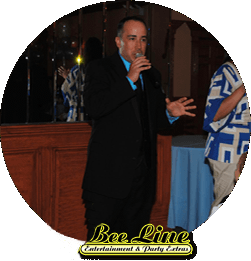 We at Bee-Line Entertainment hope to have the opportunity to entertain you and your guests at your next event. For more information or if you would like to come into our office for a consultation please call or email us anytime.